If you are wondering who this is, this is our coffee guy, Chris. He dutifully comes by every morning in his coffee truck and re-energizes us with his awesome coffee. We decided to give him a Durante Rentals t-shirt and he happily put it on for us (I mean who wouldn't? They look awesome!). And now we get free advertising! 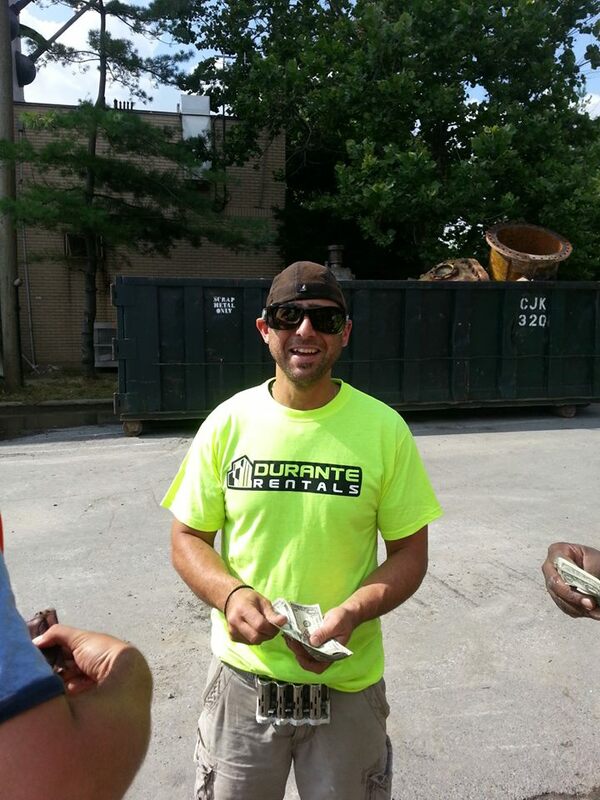 This picture was taken by a Picone employee when Chris came by their job site to sell coffee. As part of the recent renovations, we've also made some changes to our showroom. We waxed the floors over the weekend and now they look brand new! And if you look closely you can even see the reflection of the equipment on the floor! Also, we added some shelving to the walls in order to better display some of our equipment. 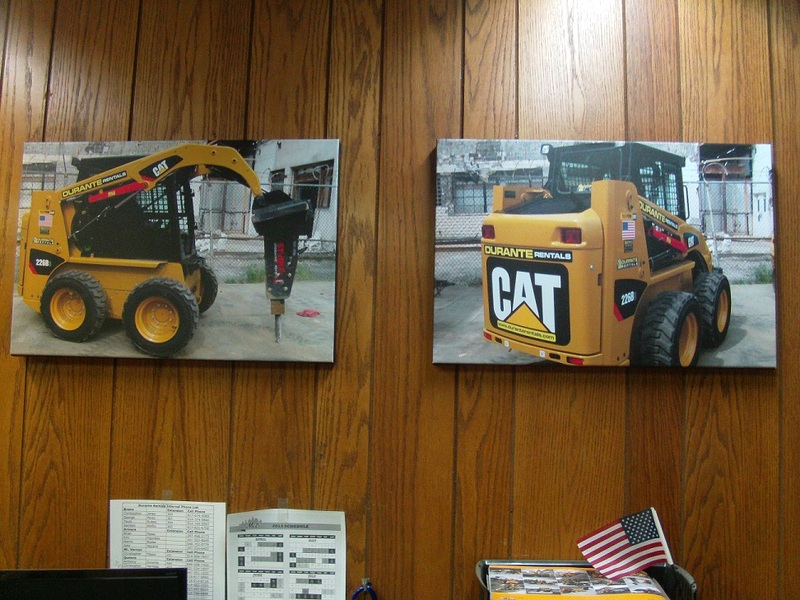 Come down to Durante Rentals at our Queens location and have a look for yourself! Hey guys, today is Feedback Friday! And today's featured review comes from an Ebay customer who won a broken generator that started at a $0.99 auction. Positive reviews such as this one has made Durante Rentals a top rated seller on Ebay! Not only do we sell some of our own equipment but we also do consignments. If you're interested, check out Durante Rentals Ebay. Check it out! 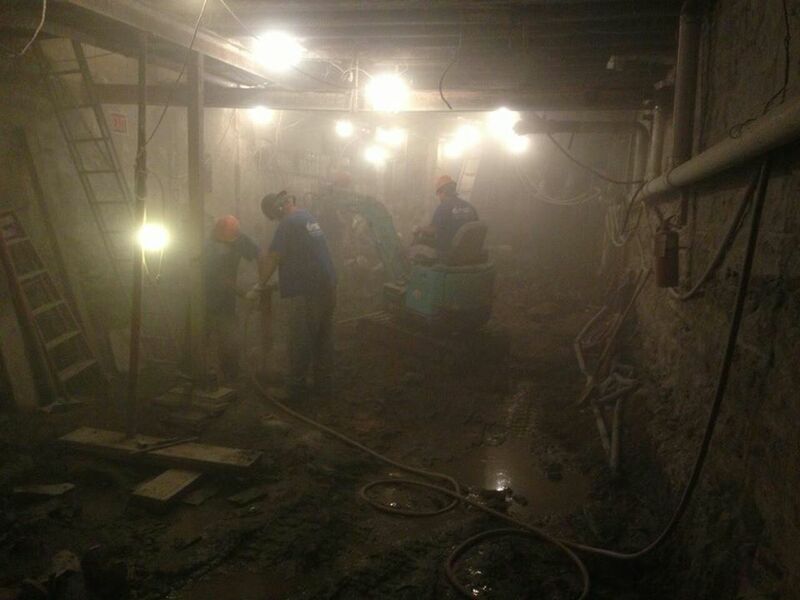 One of our customers sent us this picture of our IHI mini excavator in action! The IHI mini excavator is exceptional for working in a confined place (like this basement). IHI Mini Excavators offer unsurpassed operator comfort with more spacious cabs, better view and sight lines, lower noise levels and smooth, easy operator controls that give the operator more leg room by moving all the auxiliary controls to the joystick. To spice up our workplace, we decided to do some decorating and added some nice artwork to our walls. We took some pictures of a skid steer and had them turned into canvas art. What do you guys think? Durante Rentals would like to wish all you fathers out there a Happy Father's Day! Make sure you enjoy the weekend with your loved ones. Also, special shout out to the fathers here at our Queens location. Eddie, Pete, & Chris H.
Take a moment, and look at this picture of one of our compressors, taken by a customer on their job site! Notice the composition and layers, the file details you notice the more you look. The bright yellow contrasts the background, as if the compressor is drawing in your attention to tell you a story. If you have any pictures of our equipment, send it to us and we'll showcase it! 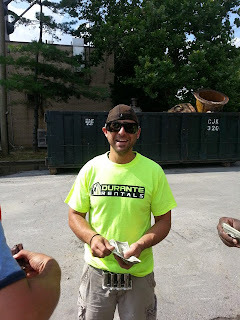 Send it to deals@duranterentals.com. If you're interested in buying or renting a compressor, we highly recommend the Kaeser brand, and it's not just because they're yellow. Give us a call at 718 697 6969 for more information! Anthony (CEO), Pete, Laura, Eddie, Tim, Steve, John (President), Edyson, Tommy, Chris H.
Meet the Durante Rentals team! This actually isn't the whole team, just a few of us from the Queens location (we're also located in the Bronx and Mount Vernon). From our knowledgeable rental coordinators, friendly salesmen, speedy customer repairs, and convenient parts department, we put in every effort so you can have the best equipment with the best customer service. Give us a call today at (718) 697-6969. We'd love to hear from you! 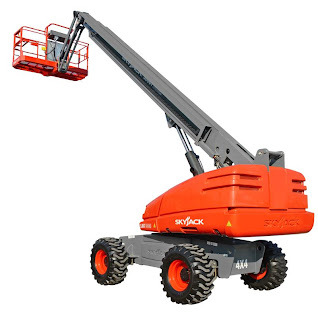 Take a look at our brand new Skyjack 66 foot Telescopic Straight Boom aka the SJ66T! Built and designed using Skyjack's robust and reliable design philosophies, the SJ66T features 4WD with a "Detroit Locker" type rear differential, as well as a 45 degree steering angle. This is another great addition to our growing rental fleet!